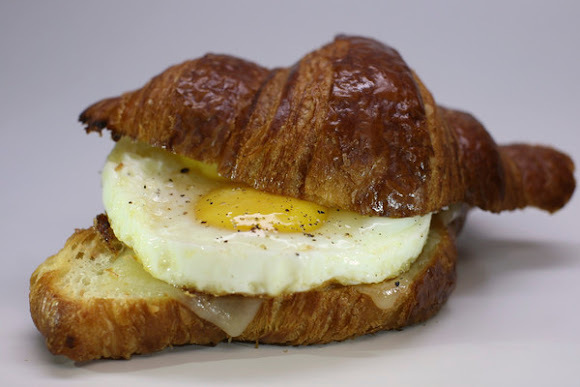 Each season, our favorite sandwich purveyor has a few tricks up their sleeves. 'wichcraft keeps their menu fresh - bringing back seasonal classics, or remixing some of their favorite ingredients. However, this season's winter menu launch is bigger and better than ever. 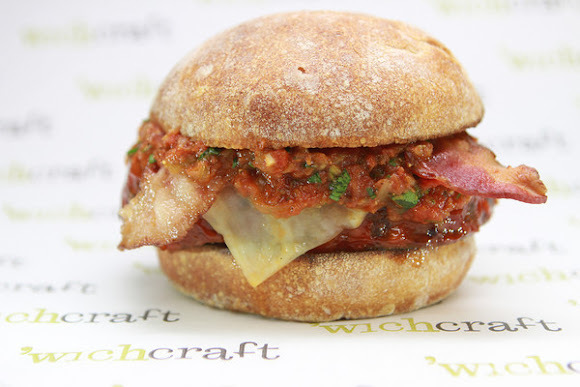 Winter warmers return like meatloaf with tomato relish, bacon and cheddar, and the roasted chicken with kale, cannellini bean puree and mozzarella. 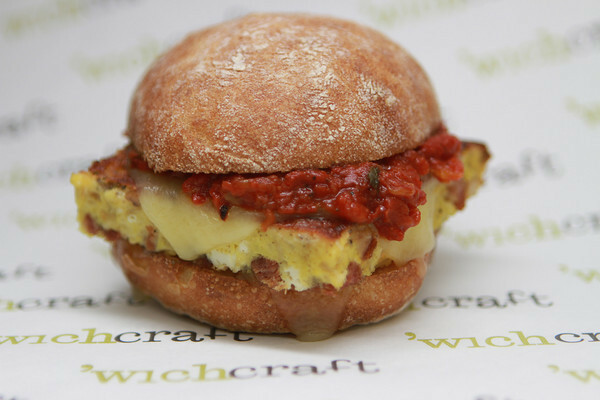 And new classics are added - the pancetta frittata on ciabatta and the croissant'wich. 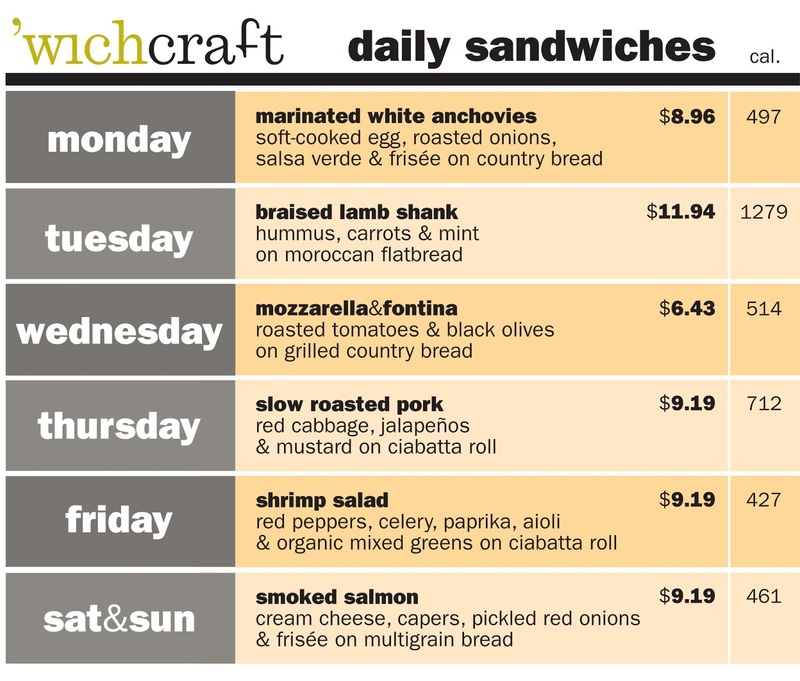 In addition to the 5 sandwiches brightening up the winter menu, they're also serving up 6 all new daily sandwiches. A special chef's choice will be highlighted each day of the week. Wednesdays mean gooey mozzarella and fontina on grilled country bread with roasted tomatoes and black olives. Weekends have a delicious smoked salmon creation, served with cream cheese, campers, pickled red onions and frisee on multigrain bread. 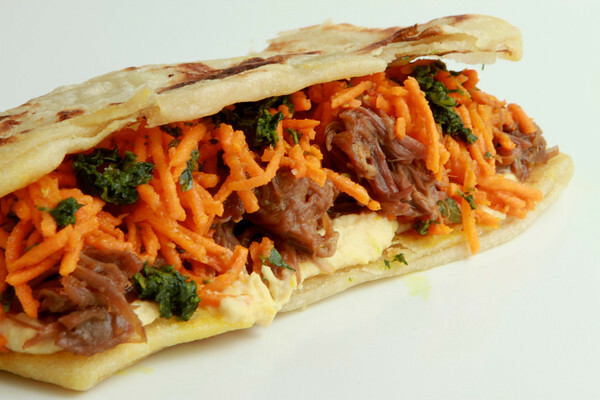 Tuesdays are braised lamb shank with hummus, carrots, and mint on Moroccan flatbread. And about that bread... 'wichcraft has partnered with Hot Bread Kitchen to source locally produced, multi-ethnic bread made by women and men in low income NYC communities. 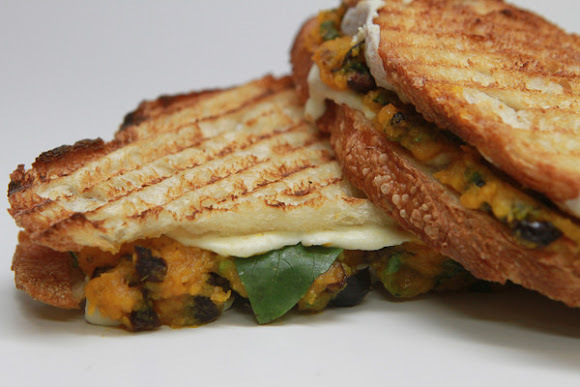 The flatbread is not only authentic, but also made by an organization with a great cause. 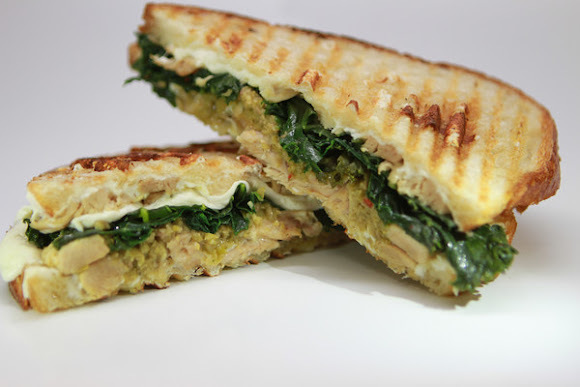 Enjoy the gratuitous sandwich shots. Guaranteed to make you hungry! !